Many people wonder when is the best time to buy a RV? Though many dealers are looking to sell last year's inventory during late summer, there isn't a specific season that is better than the others to purchase a recreational vehicle. An educated buyer can always have an advantage, any day of the year. Preparation and knowledge are the keys to finding the best deals. Here are some strategies to find an amazing deal, and a few reasons why now is the best time to buy a RV. With gas prices higher than ever, if you're looking to save some significant money, right now is the best time to buy an RV. Fuel has been on the rise and certainly there has been great outcry about the price of gasoline and diesel. 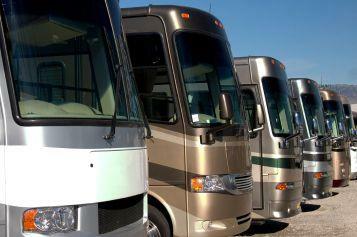 When fuel prices are high, the demand for RVs decreases. The supply of recreational vehicles therefore increases. This can mean that dealers find themselves with more RVs than they want. They'll often go to great lengths to sell them, offering wonderful bargains in order to generate sales. Though the rise in fuel prices has caused concern and triggered some panic among some owners of recreational vehicles, many RV enthusiasts don't worry too much about the high price of fuel. They simply travel fewer miles or stay longer at their destinations to offset the cost of the RV lifestyle. Because many owners have decided to sell their RVs because they feel they cannot pay for the high cost of fuel, inventory at some dealerships is immense and growing even larger. This is why buying an RV when fuel prices are high can save you thousands of dollars. If you were considering upgrading to a different class of RV, this is the perfect time to do so. When the price of fuel is high, it becomes the best time to find great Used RV values. It never hurts to ask for deals. Most RV manufacturers will offer rebates and provide rewards to the dealers, who in turn will reciprocate if they can make a deal and sell you the RV. questions about RVs and their actual values is essential when shopping for the best deal. Keep in mind that the sticker price is always an inflation of the actual price. Often, it is an enormous exaggeration of the price, regularly marked up an extra 40 percent, or more. To begin your negotiation, ask the dealer if you can take a look at the invoice from the manufacturer and then begin bargaining up from that point. You can also determine the true value of an RV on your own by looking up the blue book values for RVs. You can search to determine the suggested retail price with helpful services such as NADA Recreational Vehicle Price Guide. Just deduct forty percent for the usual dealer markup and then you will find the price that you should be paying. Though the economic situation and high fuel prices have put the customer in control by lowering RV prices considerably, it is still always up to the buyer to do homework before shopping for a recreational vehicle. Know the value of the RV and take your knowledge and information with you to the dealership so you can show the sales person that you are an educated consumer.